Empiric therapy often results in antibiotic overtreatment for suspected sexually transmitted infections. Rapid testing for Chlamydia trachomatis and Neisseria gonorrhoeae in the emergency department (ED) may lead to a significant reduction in overtreatment for women without infections with either bacteria, and a similar improvement in appropriate treatment for women who are infected when compared with the standard of care, according to a clinical trial report published in the Annals of Emergency Medicine. 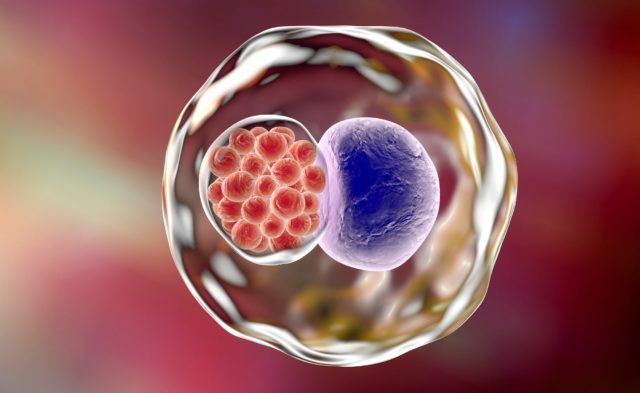 In 2016, C trachomatis was the most common bacteria spread via sexually transmitted infection (STI) in the United States, with approximately 1.6 million reported cases. This was a 4.7% increase from 2015. Similarly, an 18.5% increase was reported for individuals with N gonorrhoeae infection in the United States from 2015 to 2016. However, diagnostic testing coverage for C trachomatis and N gonorrhoeae is suboptimal, especially in EDs, where the burden of bacterial infections is high. As a result, providers who work in the ED often have to make empiric treatment decisions, which has contributed to overtreatment of up to 30% of the population who do not have a STI and undertreatment of up to 40% of patients with confirmed C trachomatis and N gonorrhoeae. The subsequent underuse and overuse of antibiotics can lead to medical complications and increased antibiotic resistance in the community. Therefore, a more reliable and rapid assay for the accurate diagnosis of these STIs could facilitate appropriate antibiotic treatment and prevent the overuse of inappropriate therapy. This randomized clinical trial assessed rapid C trachomatis and N gonorrhoeae testing on overtreatment and undertreatment of women evaluated for infection with either of these bacteria. Between April 2015 and May 2016, at an urban academic ED, 254 women aged 18 to 50 years undergoing pelvic examinations and C trachomatis and N gonorrhoeae testing were randomly assigned to either a control or a rapid test group. The control group received standard-of-care nucleic acid amplification tests of endocervical specimens with a 2- to 3-day turnaround. The rapid test group provided clinicians with an extra endocervical swab for GeneXpert C trachomatis and N gonorrhoeae rapid testing, in addition to the swab provided for the standard-of-care test. The primary objective of this study was to estimate overtreatment for STIs in the ED; the secondary objective was to estimate undertreatment for STIs in the ED. In the rapid test group, 7.9% of patients had positive test results for C trachomatis and 3.9% had positive test results for N gonorrhoeae. In the control group, 10.2% of patients had positive nucleic acid amplification test results for C trachomatis and 5.5% had positive results for N gonorrhoeae. In the rapid testing group, 100% of patients with positive results for chlamydia and gonorrhea were treated vs 56% in the control group. Further, clinicians overtreated 46.5% of uninfected control patients for C trachomatis compared with 23.1% of uninfected rapid test patients and 46.7% of uninfected control patients for N gonorrhoeae compared with 25.4% of uninfected rapid test patients.